Safety is the most important thing when mountain biking. Hence, it is important to use the proper safety tools and equipment when riding a bike. One of those safety tools is the mountain bike helmet. However, if you search online for mountain bike helmets, you will realize there is a huge choice of mountain bike helmet brands available in the market now. So how can you choose a mountain bike helmet? This article explains how to choose a mountain bike helmet. Types of Mountain Bike Helmet: How to Choose a Mountain Bike Helmet? Knowing how to choose a mountain bike helmet starts with understanding the different types of mountain bike helmet and the purpose of each. You should also understand which type of mountain bike helmet should be used for each specific occasion or particular terrain. Only then can you know how to choose the right mountain bike helmet. Choosing a mountain bike helmet starts with understanding the different types of helmets and their purpose. There are many types of mountain bike helmet available, but they can be divided into two main types: the full-face mountain bike helmet and the half-shell mountain bike helmet. The main difference is that the full-face mountain bike helmet covers the entire head, face and chin of the biker while the half-face mountain bike helmet mainly covers the top of the biker’s head with a sphere-like design. The full-face mountain bike helmet is the helmet of choice for aggressive BMX riding and downhill mountain biking. The half-face type, on the other hand, is better for regular mountain and road biking. Regardless of whether the mountain bike helmet is half-face or full-face, it is important that one chooses a mountain bike helmet that is certified by an official agency to prove that it has complied with the necessary quality and standard required for mountain bike helmets. In the USA, the mountain bike helmet brands should have a certification from the Consumer Product Safety Commission (CPSC) and bear the CPSC label. Choosing a mountain bike helmet brand that offers a warranty, whether limited or lifetime, will also help in getting a quality helmet because if there are hidden manufacturer defects the helmet can be returned to the seller. It is also a bonus if the helmet has a money-back guarantee in case the helmet is not to your satisfaction or does not fit well. Another aspect of choosing the right mountain bike helmet is knowing how to pick the correct size to use. Getting the right size means you will get a proper fit, which will make it safer and more comfortable. The first step is to know your head size. Head size can be determined by measuring the circumference of the head using a measuring tape. Run the tape measure around the head with the eyebrows as the gauge level. After obtaining the head size, compare it with the available helmet size chart for a certain mountain bike helmet brand. 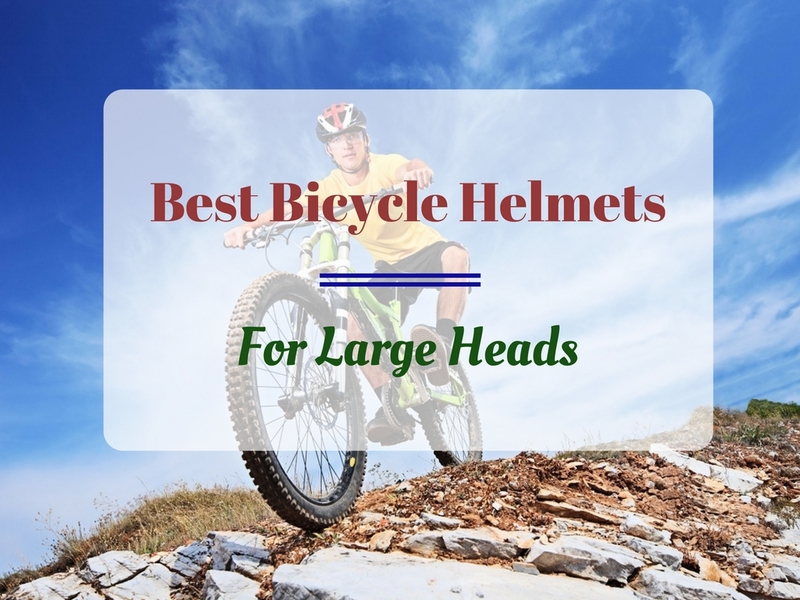 As a rule of thumb, mountain bike helmets can be slightly bigger or smaller than the sizes they claim to be so to be on the safe size, choose the a slightly larger size so that the fit can be guaranteed. Aside from a proper fit, there are several other features to look for in a mountain bike helmet. One of these important features is the ventilation. A well-ventilated mountain bike helmet will be more comfortable. However, as a general rule the more protected the helmet is, the less ventilated it will be. An adjustable strap is also important so that correct fit of the helmet can be achieved to enhance the comfort of the biker. Another feature to look for is durability. The more durable the mountain bike helmet is, the better it is because this helps give the helmet a long service life. There are several ways to determine the durability of the mountain bike helmet. One way is by looking at the material used in the construction of the helmet. Another way of determining the durability of the mountain bike helmet is to look at the foundation of the helmet and the helmet’s finish.